The P10 DIP LED Screen for Football Field Advertising has remained the hottest product in 2015 loved by thousands of people. With its advanced features, multiple usage and affordable prices, it is being purchased by various business owners. It is listed amongst the most sold products of 2015. P10 DIP LED ekranları en son teknoloji ile üretilmiş olup tarama özelliği olan ve yüksek parlaklıkla birlikte en yüksek çözünürlüğü vermektedir.1000Hz ile tazelemek ve çözünürlüğü destekler bu da en kalteli resimleri,videoları ve yazıları vermektedir. 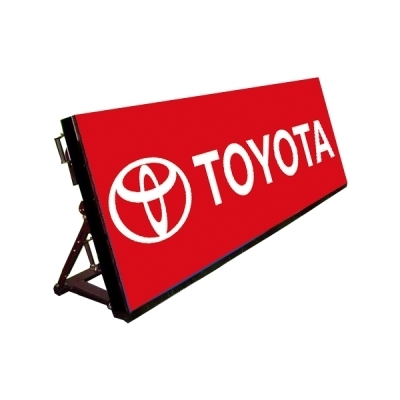 The P10 DIP LED Screen for Football Field Advertising is known for its low power consumption. It is also known for fast heat dissipation which will save more energy. Cut on the electricity expenses and help environment with this highly advanced advertising display. Rear maintenance ensures fast module replacement.